The NFL great — a contestant on this season's "Dancing With the Stars" — shares his hard-earned lessons. 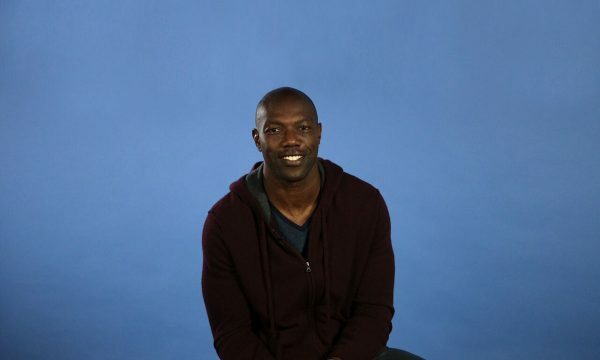 Legendary NFL receiver Terrell Owens knows a thing or two about money: the opportunities it can bring and the mistakes you can make with it. Since retiring from the NFL, the former wideout has been candid about his past financial turmoil. Owens recently sat down with NerdWallet to talk about how he's helping new NFL players — and their fans — avoid similar money woes and what he’s learned about taking care of his finances. 1. Don’t bust your finances chasing someone else’s lifestyle. Owens remembers how, after being drafted by the 49ers, he and the other rookies were smitten with the flashy lifestyles of the veteran players. In the end, it's all about living within your means. “My advice to any fan or athlete out there: Just don't live beyond your means. You definitely have to be smart,” Owens says. And athletes who receive big signing bonuses or salaries have to understand that taxes will take a big bite, sometimes more than half: "Those things have to be accounted for." 2. It's your money. Take ownership. Athletes coming into money hear it all the time from financial advisors, according to Owens: "We're gonna take care of you. We're gonna have your best interests at heart." Even if you’re letting someone else manage your money, you should be confident in the choices he or she is making. Pay attention, and make sure you understand the reasons for your advisor's decisions. 3. If you don’t understand, ask questions and use your resources until you do. In the NFL, there are veteran players and financial programs that can help with financial questions. It’s just a matter of taking initiative. “It's a really tricky situation when you're an athlete. You want to kinda keep a lot of things close to vest and I think the best thing to do is ask questions before it's too late,” Owens says. Asking questions is especially important for deals that land in your lap. It’s well-known that if you make it big in the NFL, folks start coming out of the woodwork with this or that business idea or investment opportunity. Not all players have people clamoring for their money, but the advice is the same no matter who you are: Know full well what you’re getting into before you do it. 4. Be smart about impulse purchases. When money is tight, you get used to thinking hard before making any purchase, necessary or discretionary. But when you have a financial windfall — whether you’re signing an NFL contract or just getting a raise — it becomes a lot easier to spend money on a whim. 5. But sometimes, spending the money is worth it. Owens is well-known for his flamboyant touchdown celebrations, including borrowing pompoms for a little impromptu cheerleading and stunting on the Dallas Cowboys star at midfield. NerdWallet calculated that Owens was fined around $150,000 during his career for his “excessive” celebrations. Was it worth it? Sometimes, something you love is worth a splurge. Just make sure you can afford it.